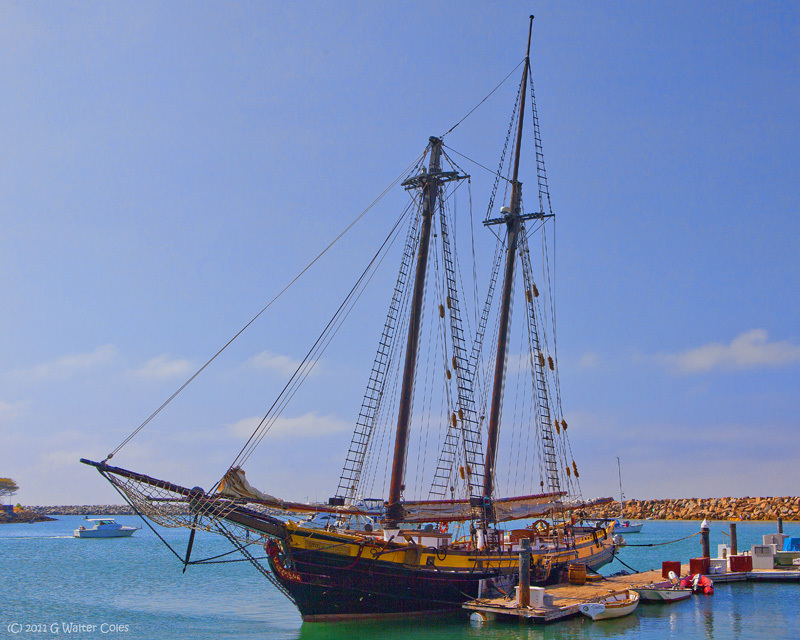 Took the dogs down the coast to Dana Point and spotted this old sailing vessel docked in the harbor. And, then, another one spotted. Another perfect Southern California day -- 75 degrees along the coast, 65 at night. 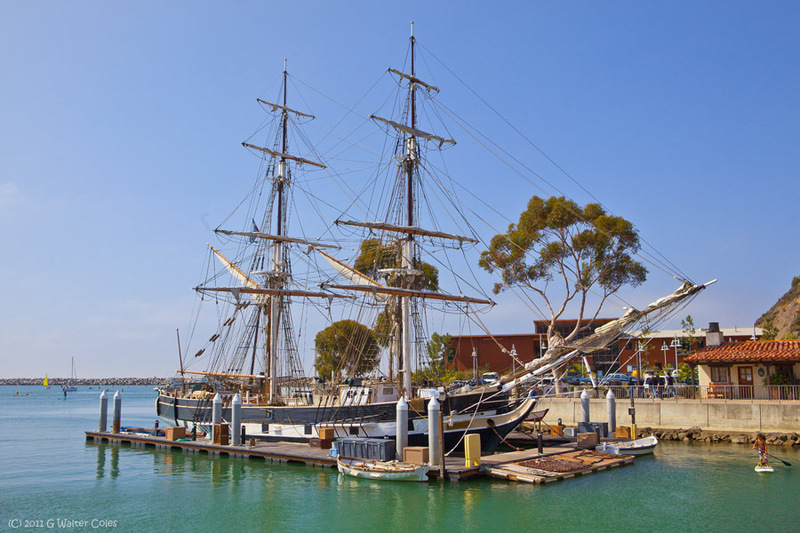 Lovely pics, those old sailing ships really are a treat for the eyes. However, to my eyes the colors are too over-saturated and quite unnatural looking, more so in the second pic than the first one. Fujifilm FinePix HS10, Fujifilm FinePix HS20 EXR, Pentax E-80 P&S, Sunpak auto383 flash, Optex slave flash, Velbon VGB3 heavy-metal tripod, TechPro TP-242 tripod with B62 ballhead, assorted filters and other bits.